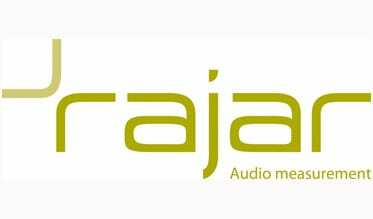 Digital listening has increased year on year to 50.2% share, up from 48.7% in Q2 2017, boosted by the growing popularity of digital-only stations and strong growth to digital listening in car and in the workplace, according to RAJAR Q2 2018 data released today. The most popular digital-only station remains BBC 6 Music, which recorded its second highest weekly reach of 2.44 million listeners, while there was strong growth for a wide-range of commercial digital stations with KISSTORY - the most popular digital-only commercial station - growing by 16.7% to exceed 2 million listeners (2.02 million) for the first time. Further commercial digital-only stations growing strongly year on year include Heart 80s which increased by 37.4% to reach 1.2 million listeners; Smooth Extra which grew by 42.1% to reach 1.1 million listeners; Absolute Radio 90s which grew by 26.3% to reach 822,000; Kerrang! which grew by 31.6% to reach 692,000 listeners; Jazz FM which grew by 20.9% to reach 672,000 listeners; Heart extra which grew by 35.6% to reach 579,000 listeners; Virgin Radio which grew by 11% to reach 413,000 listeners; Magic Soul which grew by 30.7% to reach 319,000 listeners; and Magic Chilled which grew by 49.8% to reach 304,000 listeners. Overall digital listening hours grew by 1.3% or 6.4 million hours compared to Q2 2017, with a 14% or 22.4 million hours growth to digital listening in car and in the workplace off-setting a decline to in home listening of -4.6% (-16 million hours) as consumers spent less time in doors during the hot weather. DAB digital radio listening grew by 3.3% to account for 36.3% of all radio listening and 72.3% of all digital listening, while digital listening via online/apps grew by 4% to now account for 9.3% of all radio listening and 18.5% of digital listening. Listening via digital television saw a decline of -16%, to now account for 4.6% of radio listening and for 9.2% of digital listening. In car digital listening hours grew by 20% year on year and reached a new record share of 34.5%, supported by over half a million new cars coming onto UK roads with DAB digital radio as standard in Q2 2018 alone (Q2 2018 CAP/SMMT).